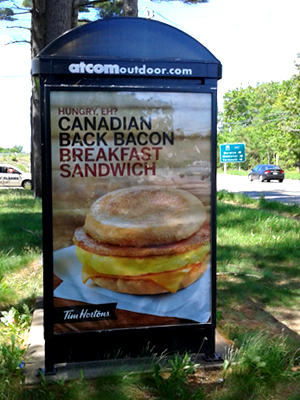 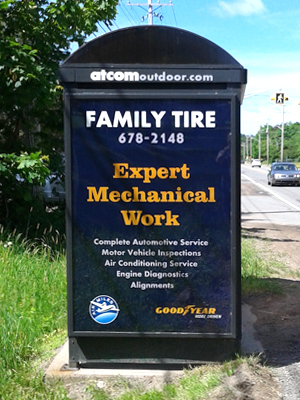 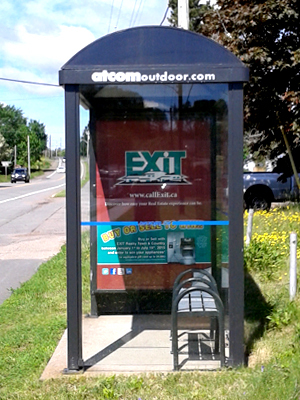 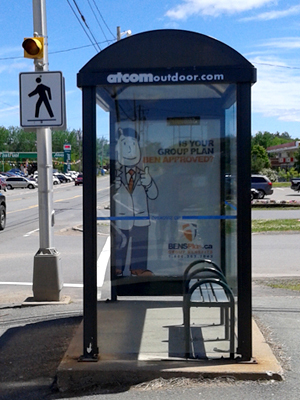 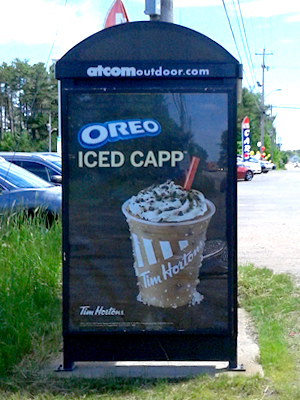 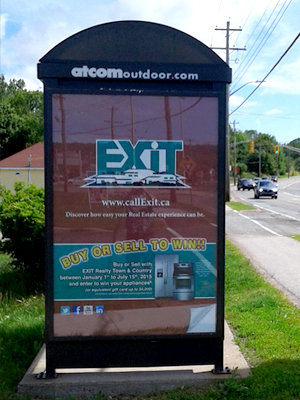 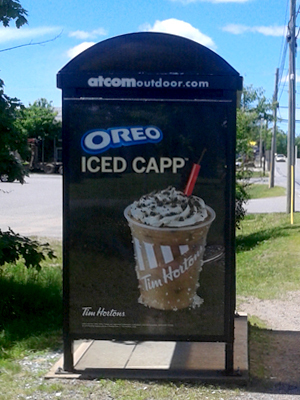 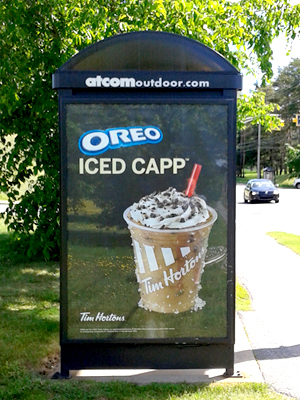 There are many ways to advertise in our market, but only one stands out as a way to reach virtually every person in every corner of the Annapolis Valley - Atcom Outdoor's Transit Shelter ads. 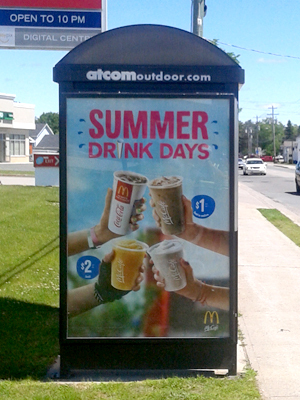 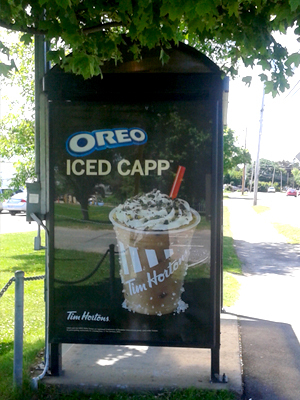 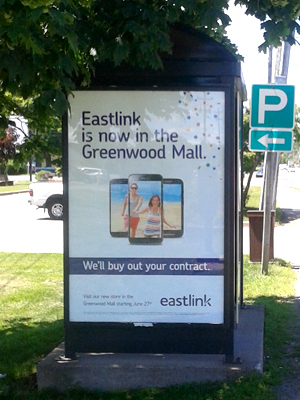 Brilliantly back-lit, visible 24/7, and located all along the main artery that virtually everybody drives along daily, these ads can make upwards of 750,000 impressions in any given four-week period. 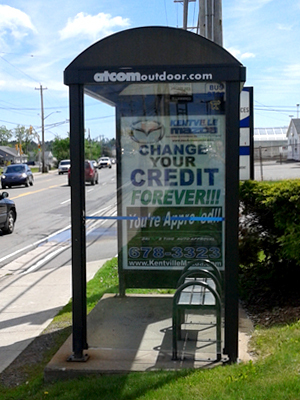 No other medium in this market can deliver even a fraction of these numbers! 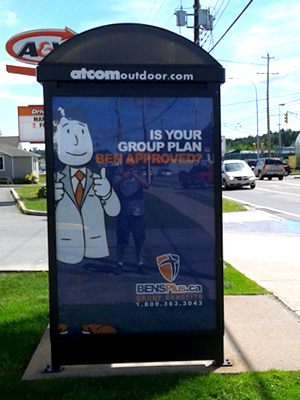 You can choose to spread your message throughout the market, from Digby to Windsor, or target the heavily commercialized New Minas shopping district - we can tailor a campaign to reach the demographic you are seeking. 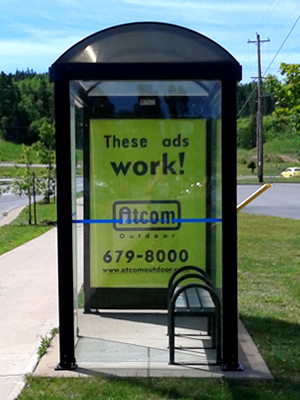 Call or e-mail us for more details, and to book space!